You must make reservations at least 5 minutes in advance of the time at Mistura. Mistura is a Peruvian Rotisserie in Oakland, San Francisco. Chef Luna is the mastermind behind the fusion Peruvian cuisine. Heavy influences on the dishes come from Chinese, Japanese, Italian and Spanish styles of cooking and flavoring food. Menu items are somewhat limited in selection, but this has allowed the kitchen staff to specialize and craft incredibly delicious meals for you to enjoy. 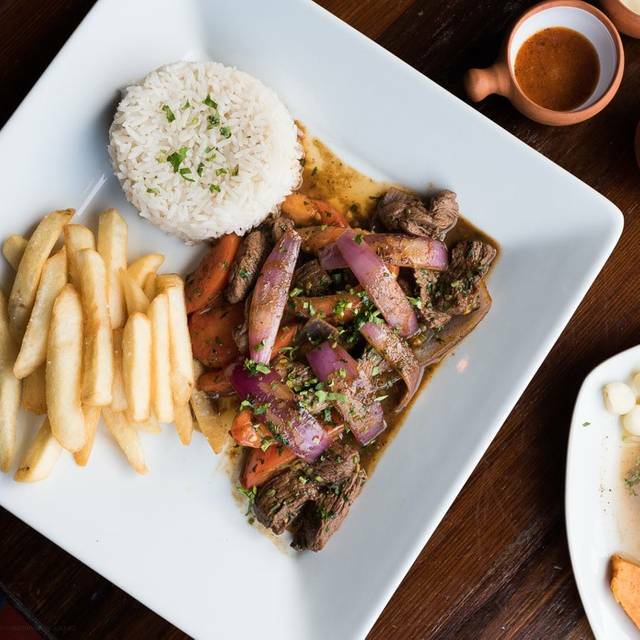 Try the tender and juicy rotisserie chicken (chicken marinated in dark beer, spices and herbs then roasted over open flame) or the Lomo Saltado (Stir-fried filet mignon strips, tomatoes, onions and soy sauce). 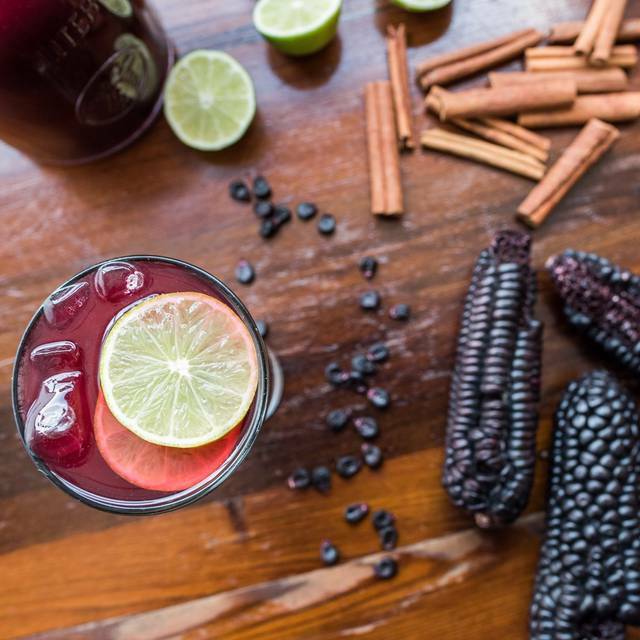 If you want a drink with your meal, you can taste some of the flavors of South America with cocktails and beers. Mistura offers outside catering services and group rentals for large private parties. This way you can enjoy the fantastic offerings of the kitchen during whatever event you need to host. The food was very authentic and tasty. I really appreciated the fact that they did lomo saltado also as a veggie option (and it was really good). Their desserts were really good too. I'd go again. This restaurant is super cozy and the employees are very friendly and give great service. The food was excellent and our wait person (possibly the owner?) was very warm and obviously very proud of the food. We will definitely be back. We really enjoyed our rainy, Saturday night dinner at Mistura! The service was really friendly, welcoming and informative. 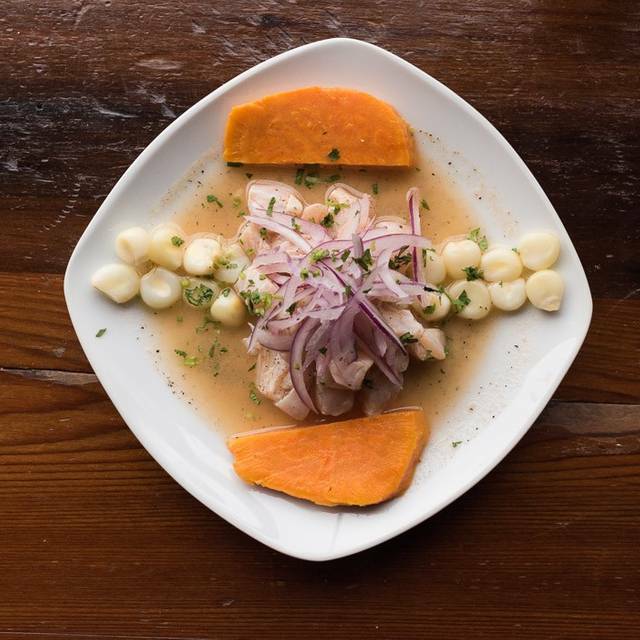 Having never eaten Peruvian food, we asked a lot of questions which were answered with much warmth and passion. The food was very very tasty - we loved everything we ordered especially the ceviches which was outstanding as well as the lamb shank and the lomo saltado. I'd say the ambiance isn't the best but the interpretive renderings of the famous Peruvian Nazca Lines (huge, ancient preserved desert drawings) were a good conversation starter. We'll be back! Would love to try a few more of their traditional dishes. 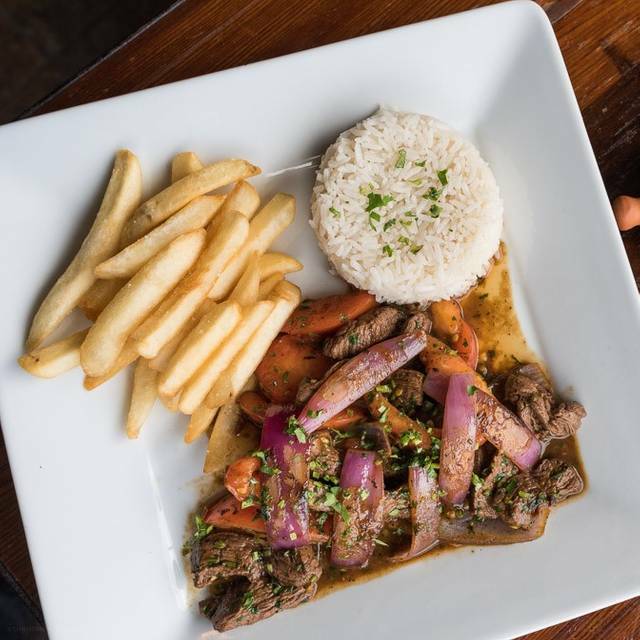 We only tried one dish, the lomo saltado , and it was delicious. My only criticism is that I would like to see a different form of potatoes instead of french fries with the filet mignon dish......the fries were delicious, just didn't seem to fit with the filet. It was nice to find they offered Inca Cola imported from Peru, organic Peruvian coffee and fresh made chicha morada. I'm always happy to see empanads on a menu but everything on the looked good. Wish I had room to try more of these authentic dishes. We'll be back for more. Lovely experience. Interesting menu. Our waitress was delightful. However, she disappeared about half way through our meal. We wanted to order more food but she was not available. Yes, we will recommend this restaurant to a friend. I’ve Never had drier chicken. It was almost inedible: white meat gave me hiccups. Fry oil tasted old. Soup was good and beans were good. You have to be patient as service is pretty slow. You have to initiate the waitress to come to your table to do everything (ie. take away plates, take your order, bring the dessert menu,etc) basically everything she is supposed to be doing on her own we had to guide and ask her. Small neighborhood gem with probably the best roasted chicken anywhere! I highly recommend to compliment it with the side of rice and vegetables and to get tostones and/or yuca frita for appetizers...you can't go wrong! Fantastic Oakland Restaurant Week menu! We took our friends from back east, to experience Mistura’s delicious Peruvian fusion inspired dishes. Like us, they were wowed! For starters we shared a Causas and a selection of Empamadas, that came with a perfect dipping sauce to balance them off. Our entrees included: The ‘Rotisserie Chicken’, a must try, moist on the inside, crispy on the outside and an explosion of flavors with every bite, ‘Lomo Saltado’, fillet mignon strips stir fried, with vegetables steamed rice and perfect French fries, and ‘Jalea’ a fried fish filet medley with rice and a vegetable, that was light and not a bit greasy tasting. Everything they offer is fresh, fresh, fresh! They have a selection of beers and wine. The wine list has definitely improved since they first opened. The service is efficient, warm, and friendly. Everyone always has a smile and is happy. I highly recommend trying this neighborhood gem on Piedmont Ave. in Oakland. You will not be disappointed. The food was delicious and we enjoyed the vibe. The live music was beautiful but the volume was too loud. This was my third time here and we ordered my faves yet again: ceviche, causa, rotisserie chicken, and lomo saltado. All excellent and so tasty! The place is comfortable and service is friendly. Try it! Their roasted chicken is moist and very tasty. I wish their side dishes would be more generous, especially the veggies. Their small side dish portions would be reason not to come back, for me. We went to Mistura excited about the Peruvian food. Having traveled to Peru and eaten at other local Peruvian restaurants we were exited to try something new. The restaurant was busy, but not full. The noise level was so loud that we could not hear each other across a small table. One of out party turned off his hearing aids as the noise was not bearable. We ordered simple dishes, roasted chicken, the fried fish and a sliced meat dish. We waited and waited and waited. We asked about our food and was served a small torte appetizer of chicken and potato. After an hour one of our dishes came to the table....10 minutes another dish and 20 minutes later the two fish dishes. We ordered a second set of soft drinks as we waited and waited. In all we were at the restaurant over 2 hours. We spent most of the time waiting. The food was fine, but not memorable. Fried fish is fried fish and roast chicken is roast chicken; the sides were ok. I can make green salad and fried plantains. 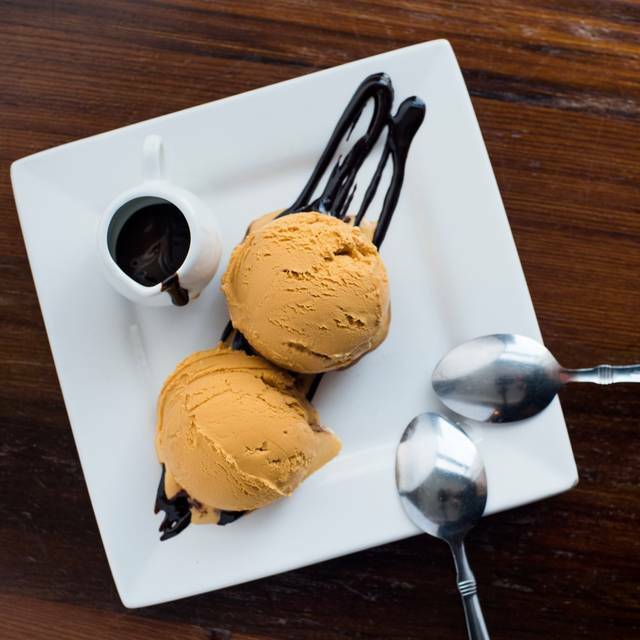 Mistura is a little neighborhood gem in the middle of Piedmont Avenue. The menu is small but everything in it is nothing short from excellent. The specialty is the Rotisserie Chicken which is finger-licking amazing! I highly recommend it along with the French Fries and don't forget the Chicha Morada. Oh yes... and if you are in the mood... definitely try their ceviche appetizer.... awesome!!!!! Meet Daniel (the chef) and Irena (his wife)... they are awesome and very welcoming. 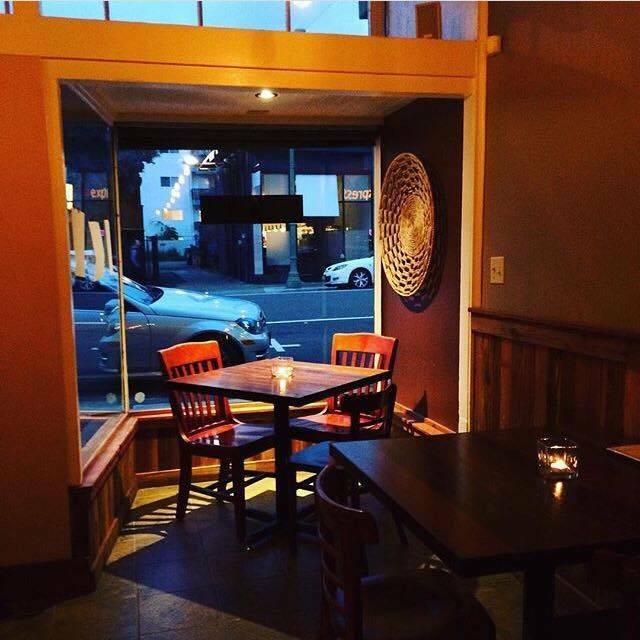 Lovely small peruviam restaurant, great for a lovely casual dinner in Oakland. Mistura is my favorite restaurant. I love Peruvian food and this place fits my bill: it is small, simple decor, delicious food, a small menu. The owners are on site, they cook and serve like in old time European and South American places. Warm, attentive service. 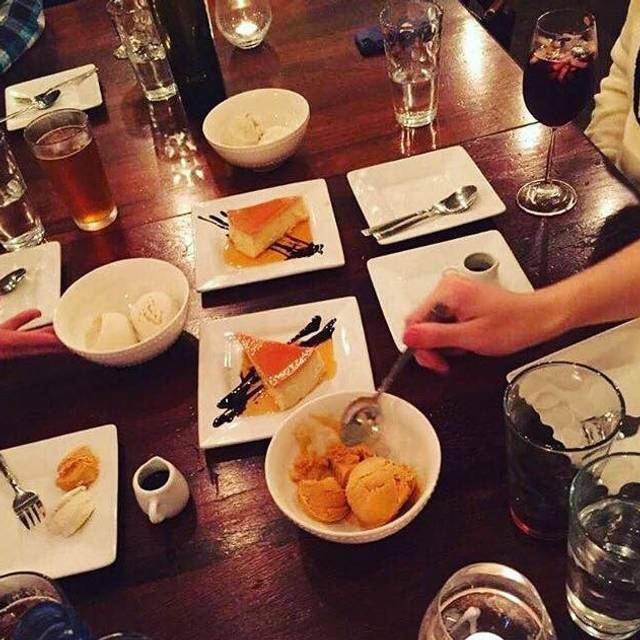 My neighbor recommended Mistura, and I was very happy that my husband and I went. I thought the roast chicken was succulent and full of flavor. It was worth the wait. We also liked the spinach empanada so much that we ordered more. My husband had the sauteed beef dish which he enjoyed too. We'll be back! It was my second time coming here for lunch and this place does not disappoint. Let me start by saying the owner/hostess is very nice and welcoming. She offered me water while I waited for my take out. So, I ordered the quinoa salad with chicken and a side of the Peruvian canario beans. The beans were smothered to perfection and seasoned very nicely. My salad was generous in size and the chicken tastes amazing. Definitely coming back. Wine list needs to be expanded. This is one of my favorite go to spots when I’m in Oakland. Food is and has always been delicious. We’ve tried everything on the menu, again all delicious. Thank you for authentic touches. Very enjoyable. Excellent roast chicken and lomo saltado! Fabulous authentic Peruvian cuisine. Everything was tasty. Service was great with a smile. 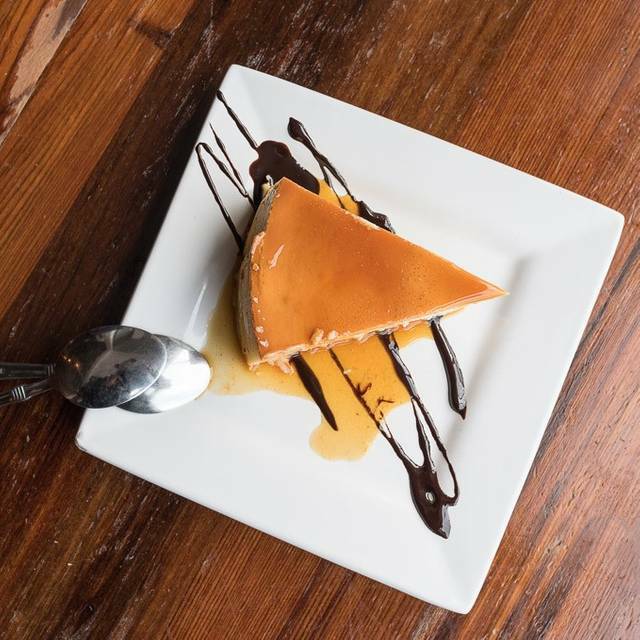 Family-owned and cooked by Peruvian chef owner. It was a relaxed atmosphere with very friendly staff and excellent food. Great food and nice people. Very tasty. We made an Open Table reservation yet Mistura said they did not have it in their system. As a result we had to sit at the bar for the majority of our meal. Once we got moved to a table the server lacked attentiveness. We did not expect compensation, however, based on the situation some kind of gesture would have been nice. This is the third time I've gone here and it will be my last. The first experience was sub par, the second one was great and the third time was very disappointing, especially since we were hosting out of town guests and it was their first time dining at Mistura. It's too bad since their food is great. There are many other places with great service and food in the area I would prefer dining at after our most recent experience. Although we were seated as soon as we arrived for our reservation, they never reported to opentable. The service was inconsistent as the server brought our main dishes well before we had finished our salads. We ordered ceviche appetizer that did not contain very much fish. I ordered the lamb stew which was a very small portion. It was served with refried beans which were bland and dominated the plate. Deserts were just ok. The server presented our bill before we had finished desert. My second time here and it did not disappoint. The food is fantastic. In excellent flavors and spices. Highly recommend him. 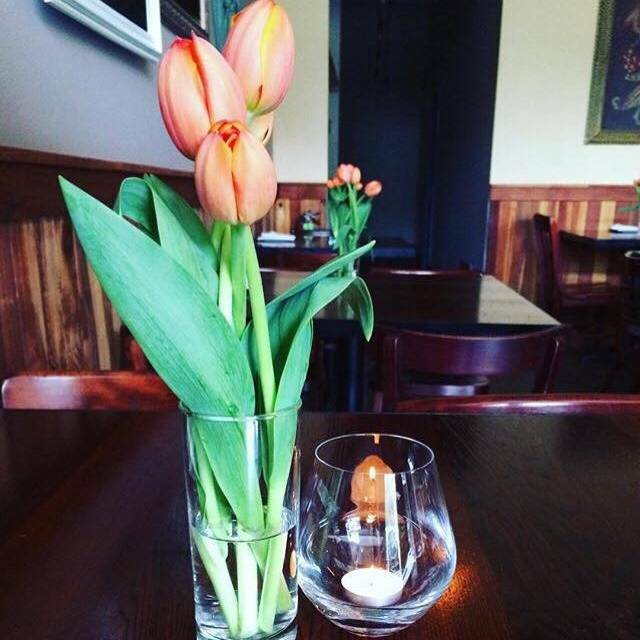 I always look forward to dining at Mistura, and every time that I have the chance to bring in someone new to try it out I love the rave response that they have. The menu is small but everything in it is excellent. For a romantic evening, I recommend calling ahead and reserving a window table (they are the quietest ones). Owner chef and wife team are awesome and extremely friendly. Oh yes... leave room for dessert! I took my wife out for our anniversary. It was a little too casual for that, but just a little. Otherwise the place was great! Excellent food. A very nice neighborhood eatery, about 4 blocks from the Kaiser maternity hospital. Not fancy, but good food. I had the lamb stew & found it to be very tasty. My wife had the steak & rice & liked it as well. We were eating with our 4 yr old grand daughter. We'll probably come back. Our son & his wife were in the hospital with their new son, and by coincidence had ordered take-out from this place too. We had an absolutely lovely time. Chicken, sides, wine, and dessert were so good. Lamb was very good, but anything would be pale in comparison to that perfectly prepared chicken. I am Peruvian and even though I do not expect the same flavors as when I am visiting my country, I do expect that the dishes are at least palatable. The lamb dish was so spicy even my mom couldn't eat it; the chicken was very salty and the fish was fried and overcooked. Dropped $100 at this place but will never visit again. I took my family here for Mother's Day (which might be the source of the service problem). The four of us were seated at a table for 2, the small restaurant was full. It took a long time to get menus, to order, and an exceptionally long time to get the food. No bread or other amenities were offered while we patiently waited for our food, just the occasional "the food will be up shortly." When we got the food, it was very good. The wait staff never checked in with us after serving the food, and eventually we had to go to the back to get our check and a to-go box.